At Northfound, we think good design is more than just a pretty picture. Rather, it’s the reflection of asking the right questions, digging deep, sorting and planning, thinking out loud, harnessing thrilling jolts of imagination, strategizing, pursuing curiosities, working hard and, every so often, consuming an absurd amount of coffee. Good design is your brand walking and talking. It inspires, unites, educates and changes perception. Above all, good design is good because it pays attention. Since our founding 18 years ago, we’ve been passionate about making good design. Big or small, we tackle each project’s unique challenges on a case-by-case basis, working closely with clients to unravel barriers and build better solutions. We consider the nitty gritty: Should it fold? Will it smear? Who is the audience? Is there a simpler way? We create smart brands with authentic personalities and consistent messaging. Some of them have even won awards. And along the way we meet wonderful people—clients, printers, fellow designers—who inspire us to roll up our sleeves and do it all again. Born with an unusually high level of tenacity, Jen loves a good challenge and is relentless in her pursuit of clever solutions. Since starting Northfound in 2001, she has filled the roles of owner, art director, designer, project manager, bill payer and coffee wizard. Jen holds a BFA in graphic design and has collaborated with companies, individuals and organizations worldwide. 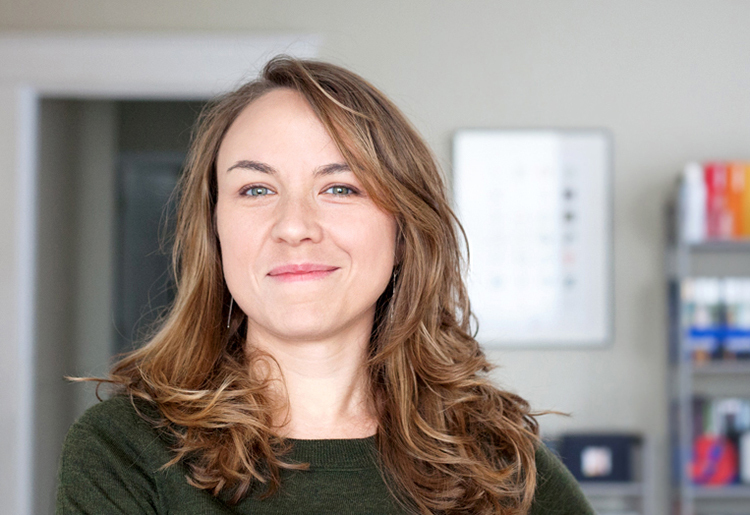 In addition to her work at Northfound, she has taught Brand Identity and Advanced Typography at Philadelphia University. When she’s not cozied up to her iMac, you can find her brewing a fresh batch of kombucha, cable knitting or running miles through Forest Park. Jen lives in St. Louis with her two polydactyl cats, Sprocket and Banzai.